Beat Latino with Catalina Maria Johnson » SXSW Preview! 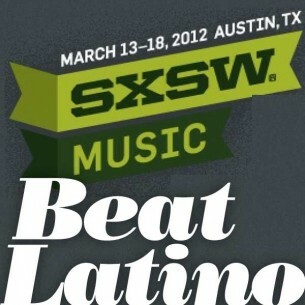 This week’s Beat Latino goes to SXSW-Music in Austin, Texas, with Latinos doing their part to “keep Austin weird”, as the city’s saying goes. Every year, almost 20,000 indie musicians and music lovers descend upon Austin for the annual music-extravaganza festival which has become THE place to share indie music from the U.S. and from around the world as for years now an international presence has developed ever more strongly, with showcases by WOMEX, globalFEST, National Geo Music and several Latin countries, inlcuding Chile, Colombia, Spain and Mexico. This week´s Beat Latino takes you on a preview paseo with Latinos who will be at SXSW – sharing wonderfully diverse tunes from the most traditional to the cutting-edge vanguardia. ¡Nos vamos de paseo a Austin, Texas – a celebrar con una muestra de la música indie latina del festival de SXSW!